Airport security technologies _ Mathias Vestergaard Corp.
Next fall I’ll be writing my Master Thesis. 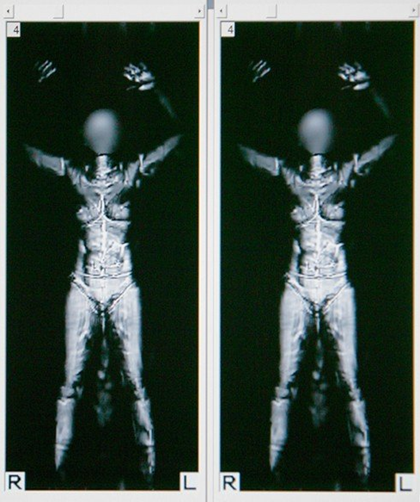 I have decided to write about airport security technologies since it is both a personal interest of mine and a fascinating interplay between humans and technology. The questions above make me curious, although they are not my primary concern here. What I’m interested in analyzing is what you as a traveller feel. How do you feel when you have to take of your shoes? How do you feel when someone else is being searched? And does it make you feel more safe when you travel? Through interviews with travellers I’ll be examining this topic from the travellers’s point of view. I will also be examining the public discourse in the media and press: what types of articles are published on this? Finally, I’ll also conducting field observations of travllers in actual airports in order to triangulate my findings from the interviews and relate them to a broader group of people. If you have read any interesting articles on airport security, please contact me! This entry was filed under M.Sc. Informations Studies.